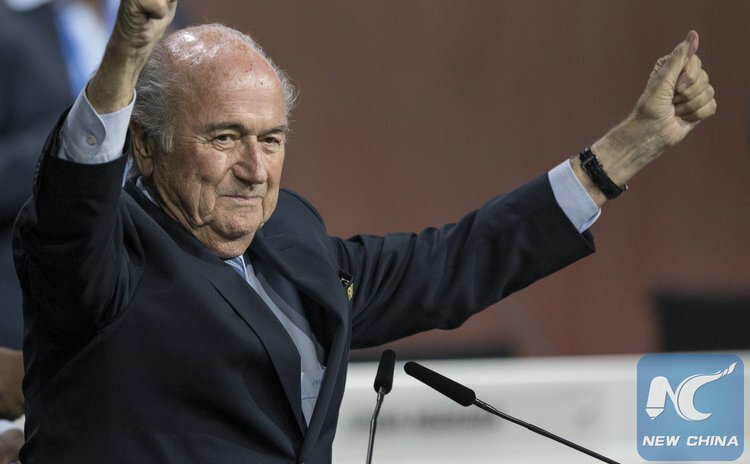 GENEVA, June 2 (Xinhua) -- FIFA President Sepp Blatter on Tuesday announced at a unexpected press conference in Zurich that he will lay down his mandate at an extraordinary elective Congress. However, until that election, he will continue to carry out his functions, he said, without mentioning when the special congress will be held. The FIFA President also announced a significant reform program to be driven by Domenico Scala, the Independent Chairman of FIFA's Audit and Compliance Committee. "I have been reflecting deeply about my presidency and about the forty years in which my life has been inextricably bound to FIFA and the great sport of football. I cherish FIFA more than anything and I want to do only what is best for FIFA and for football," he said in his remarks to the press conference. "I felt compelled to stand for re-election, as I believed that this was the best thing for the organization. That election is over but FIFA's challenges are not. FIFA needs a profound overhaul," The 79-year-old Swiss said. On May 29 Blatter was just re-elected as FIFA's head for a fifth consecutive term,amid tumultuous times for the football federation following the arrest of nine high-profile FIFA officials and five corporate executives earlier by Swiss police in Zurich on the request of U.S. authorities. After the shocking arrests, FIFA had acted quickly, banning provisionally 11 individuals from carrying out any soccer-related activities on a national and international level, including those arrested officials. But for some pundits, the scandal engulfing FIFA is less about people but more about a system that is difficult to change. As the official governing body for the world's No. 1 sport, FIFA takes in billions of dollars in revenue from television marketing rights and sponsorships, making it one of the wealthiest and most powerful sports bodies in the world. Dogged by corruption scandals for decades, FIFA has usually done self-investigation to avoid scrutiny by criminal courts.